Mayor Sims called the regular Council Meeting of September 8, 2014 to order at 7:30 P.M.
Mayor Thomas Sims and Council Members John Ruymann, Allan Palmerson, Angelo Cilluffo, and Julie Zehe answered roll call. A motion was made by Councilman Cilluffo with a second from Councilor Zehe to excuse Council member Fallow’s absence. Motion carried. A motion was made by Councilman Ruymann with a second by Councilor Palmerson to accept the recessed regular meeting minutes of August 11th and the continuance of that meeting on August 19th, 2014 as written. Motion carried. Kelle Metz told a little bit about herself and stated why she supports the Oakville Timberland Library. Buck Meile commented on police response for the extensive illegal activities taking place near his home. He also commented on marijuana tax dollars in Colorado. MAYOR’S REPORT: “Welcome” signs are under construction now. Mayor Sims stated the donated top soil and rock for the sign placement can be picked-up as soon as the signs are ready for placement. There was a brief discussion on marijuana zoning. A motion was made by Councilor Cilluffo and seconded by Councilman Palmerson to hire a hearing examiner on the issue of cannabis. Motion carried. Public Works Director, Dan Thompson’s Water, Streets, Cemetery, Parks & Misc report was in the packets. Further discussion regarding the street repair details will continue at the next workshop. A report was included in the packets from Clerk/Treasurer, Amy Durga regarding funding for the City Hall remodeling project. A motion was made by Council member Cilluffo and seconded by Councilman Palmerson to start the project with the $20,000 from Capitol Improvement Fund, do the items on the insurance list, and wait until spring to check on further funding to complete the project. Motion carried. Library Proposal: Letters included in packets. Councilman Palmerson had some questions regarding the Friends of the Library’s involvement in the library remodel discussions which were answered by Mayor Sims. After further discussion about the City Hall building renovation, a motion made by Councilman Cilluffo to use the $20,000 out of the capitol improvement fund to begin with the insurance required upgrades for the building. Council member Palmerson seconded the motion. Motion carried. Council Committees: Council member Zehe will fill the positions held by former Councilman Hawkins on the audit, library, public works, and sewer committees. 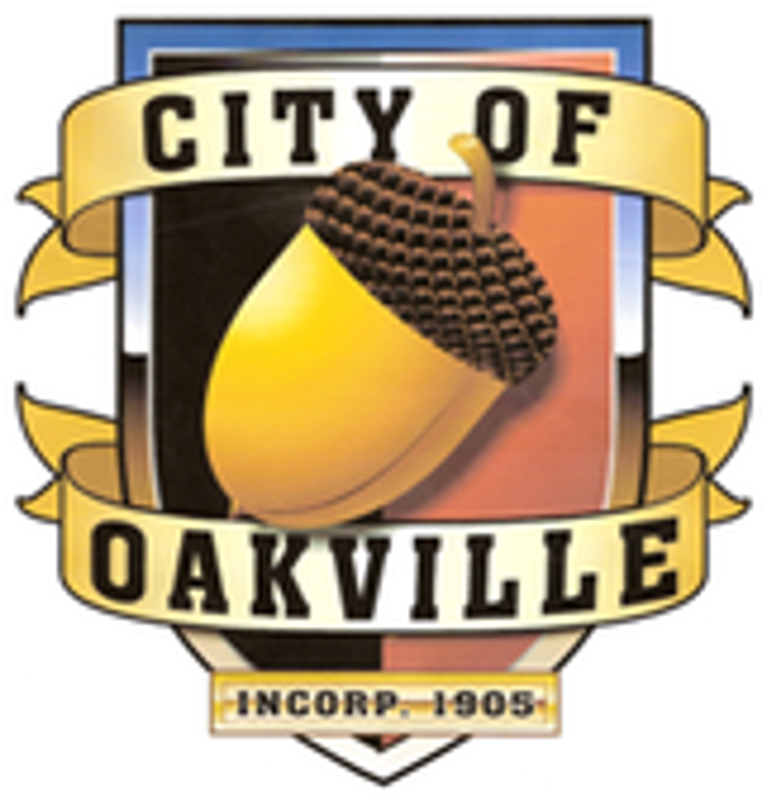 Amy Durga, Oakville’s Clerk/Treasurer submitted Checks #17796 thru #17806 dated 08-27-14 in the amount of $21,974.04. Checks #17807 thru #17820 dated 09-05-14 in the amount of $10,102.17. Motion was made by Councilor Zehe and seconded by Councilman Cilluffo to accept the Clerk’s Report as presented for payment of the bills. Motion carried. Councilman Palmerson: Urged the council to leave the library proposal alone. City Attorney, Dan Glenn: Appreciates the tolerance of the Council and the Mayor while reviewing some of the issues on the agenda. Mayor Sims: Hopes to see everyone at the Zucchini Jubilee this weekend. At 8:15 P.M. Mayor Sims adjourned the meeting.